A ten month course that includes training in the areas of hair, skin, and nail technology. Your elite training will include: hair extensions, hair sculpture, hair designs, hair colors, keratin treatments, smoothing systems and permanent waving. A complete nail technology course work is included in addition to facials and make up applications. Salon business management/marketing and client retention strategies. 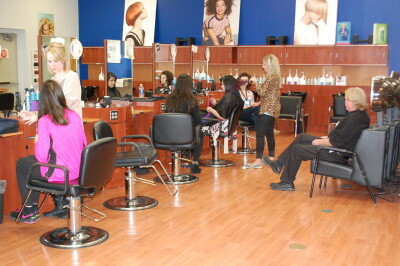 All graduates will be eligible to take the State of Minnesota Licensing Exam to become a licensed Cosmetologist. A ten week course that includes mastering the conditioning, cleaning, reinforcing, shaping, polishing, enhancing of all nail types. Application of artificial and gel nails, salon business, marketing yourself and client retention. All graduates will be eligible to take the State of Minnesota Licensing Exam to become a licensed Nail Technician.